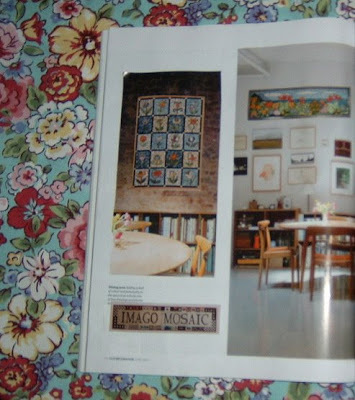 ELAINE PRUNTY : MOSAIC ARTIST : I'm in Elle Deco ! 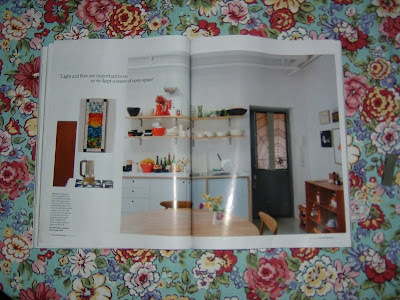 I'm in Elle Deco ! actually hit the newsstand's but today I can scream it from the rooftops!! 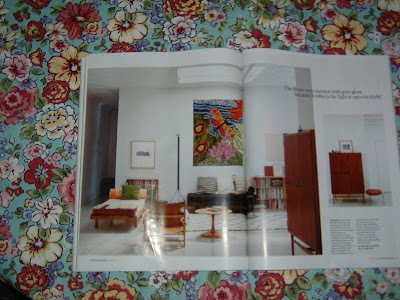 The April edition of ELLE DECO is out and I'M IN IT!!!!! 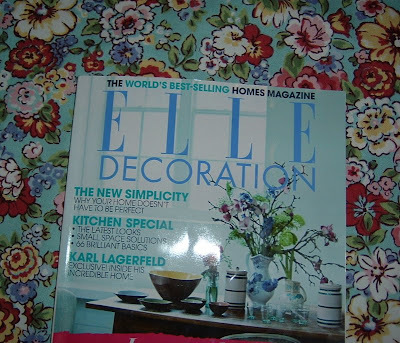 Elle deco is an absolute dream come true for me . Can you imagine my excitement ? They've been collectors of my work for over 12 years now. And they've given my company logo "Imago Mosaic"a huge byline! really prominently in this picture, It looks fantastic ! and my spider stained glass windows nearly get a full page!